Bourne is a small historic market town rich in wildlife, culture and history, and renowned for its waterways, open spaces, parks and woodland, suitated on the edge of the beautiful south Lincolnshire. The town of Bourne actually originated from a Roman road from which it was built upon (known as King Street), and also from the excellent water supply sourced locally from natural springs at the Wellhead Gardens. The name “Bourne” derives from the Anglo-Saxon meaning “water” or “stream” and is a common name for a settlement. Bourne is now a growing and bustling market town with many amenities, including a large leisure centre, outdoor swimming pool, snooker and sports bar, museums, a good range of restaurants, cafes and public houses, several gyms (including a ladies only gym) and a great selection of shops and businesses. There are lots of things to do in Bourne, and a friendly and vibrant community that makes the town a great place to live. 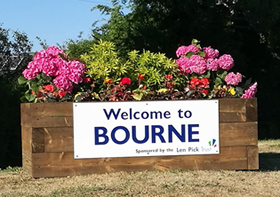 The town is fortunate to have six outstanding schools, including the reputable Bourne Grammar School, renowned for its excellent standard of education and commitment to learning, and the Bourne Academy that is highly focused on supporting its students and helping them to grow into well-rounded adults. Bourne has a great selection of shops selling a wide variety of items, meaning there's a good chance you'll be able to find exactly what you're looking for right here in Bourne. Remember that for every item you purchase locally, every drink you buy in a local pub and every Bourne restaurant you eat at, you'll be putting money back into the local economy and helping maintain jobs! Search our huge online directory to find out about local services, businesses, things to do, places to eat, and accommodation, in and around Bourne. Robert of Bourne, a teacher at Bourne Abbey, was the first person to ever write in English. The largest living Oak Tree in England can be found at Manthorpe, just south of Bourne. It has a circumference of 40 feet and is over 1000 years old. Underground Natural Springs provide a constant source of pure water to some parts of Bourne and the surrounding area. This is also the source of the many streams around Bourne. Bourne Outdoor Pool is one of the largest of the few surviving outdoor pools in the country, at a size of 50 yards (that's near Olympic size!). William Cecil who was responsible for building Burghley House in Stamford and was Lord High Treasurer to the Queen, was born in Bourne. The founder of British Motor Racing, Raymond Mays, lived in Bourne and the famous ERA and BRM racing cars were built in the town. Frederick Worth, who was the founder of the Paris Fashion House was born in the town. The bridge over Bourne Eau has been voted one of the best Poohsticks bridges by VisitEngland. Roman coins and other Roman remains have been found in Bourne. 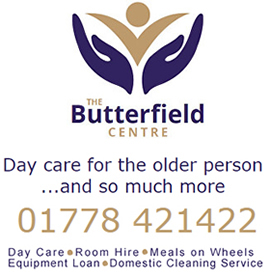 Visit our Services Directory for a full list of services in and around Bourne. See the extended forecast for Bourne. Advertise your business on here for just £95.00 a year! Find out more about advertising on the Bourne Community Website. BE RESPONSIBLE by putting your litter in the bin and not dropping it for someone else to pick up. Litter makes the environment look untidy - it is everyone's responsibility to ensure they dispose of litter in a responsible manner. Next to the entrance to the Abbey Lawns. Next to the Memorial Gardens (entrance is right next to the Mason Arms). Accessed via Exeter Street and North Street. Please beware that restrictions do apply, so please check any signage for details. 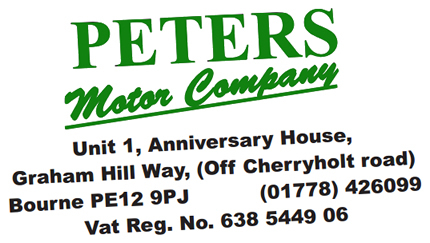 For more information regarding parking in Bourne, please visit our Support Bourne page. Public conveniences can be found at the South Kesteven Community Point and Library (accessed via Burghley Archard and Hereward Street). Please note that there is a cost of 20p to use these facilities. Assorted Music, Lincolnshire News, Events and Traffic Updates. Assorted Music, Local News, Events and Traffic Updates. 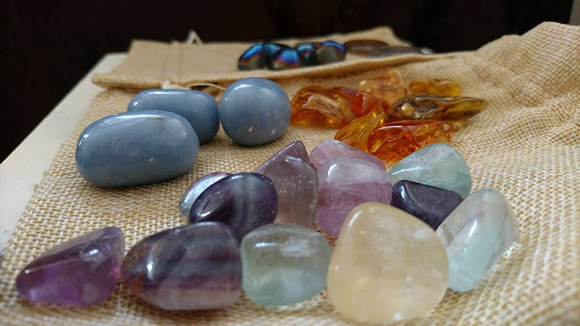 Enchanted Pumpkin is a quality online retailer of New Age, Pagan and Witchcraft products, replies and ornaments, headed by Spiritual Healer - Abi Dyer. There is a wide range of products on offer, ranging from the crystals incense, dried herbs, clothes to the handcrafted and new age items.